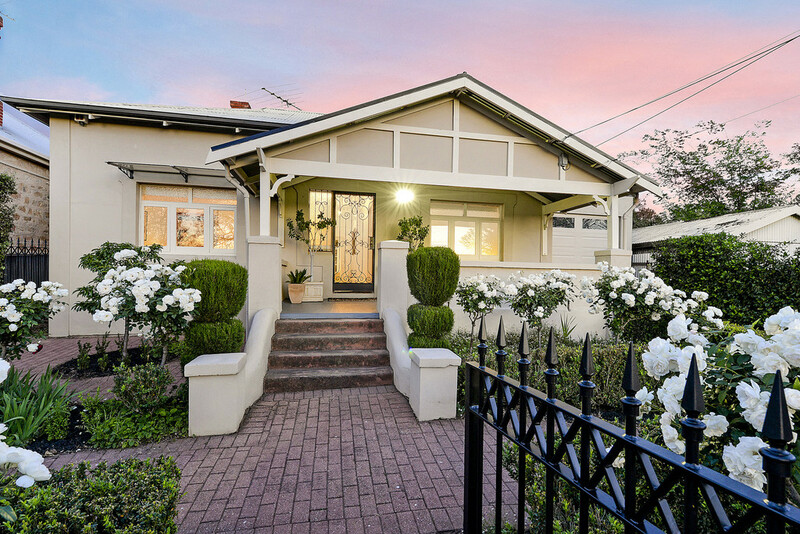 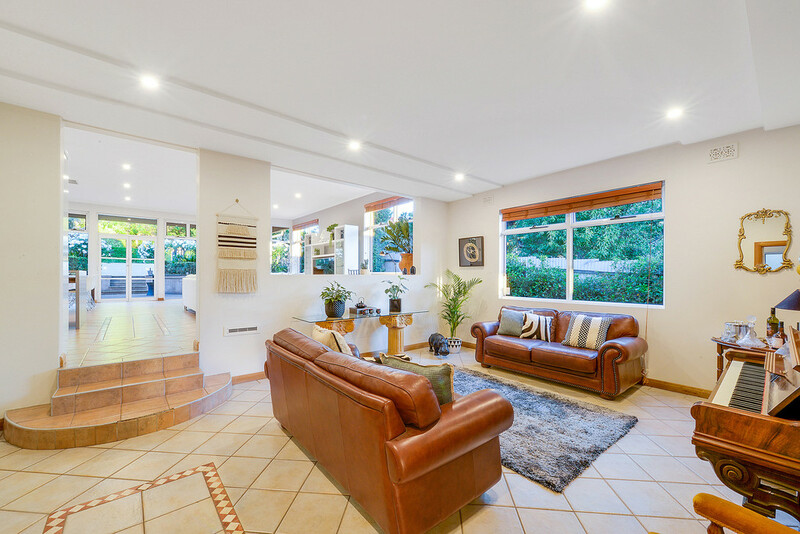 Sited on a massive 822m2 allotment on an avenue of spectacular jacaranda trees, this circa 1928 bungalow has been meticulously restored, revitalized, renovated and extended by the current owners over a 22 year period of house proud ownership. 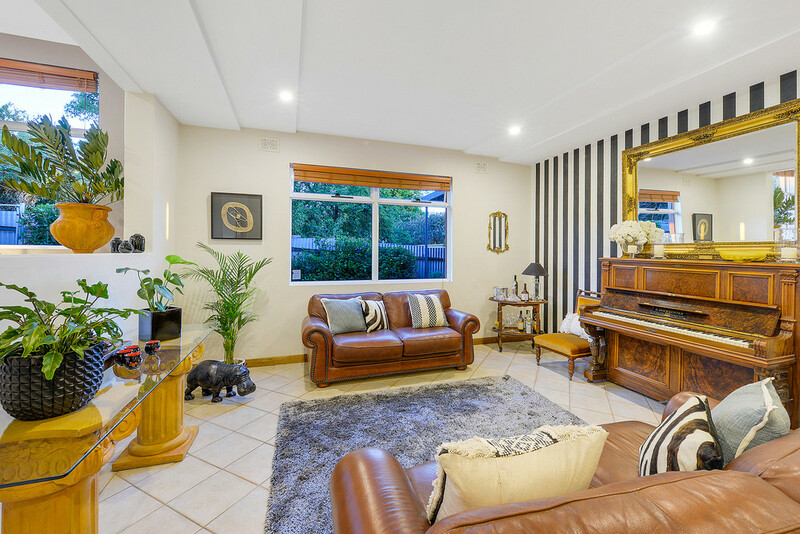 The result is a stunning family home with high ceilings and spacious living areas across a contemporary design boasting a combination of modern amenities fused with character features of a rich and vibrant past. 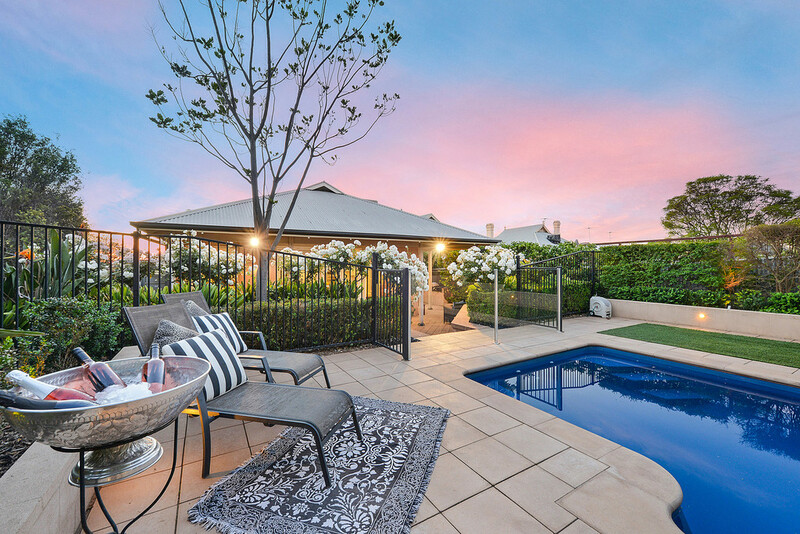 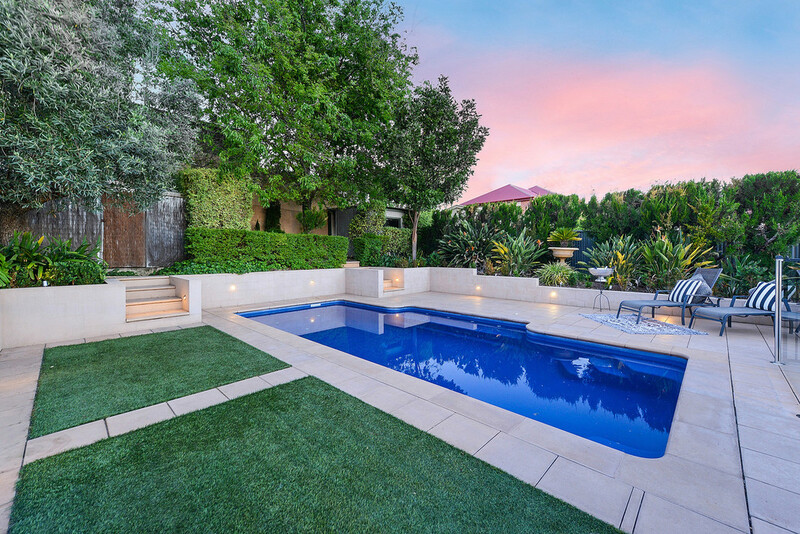 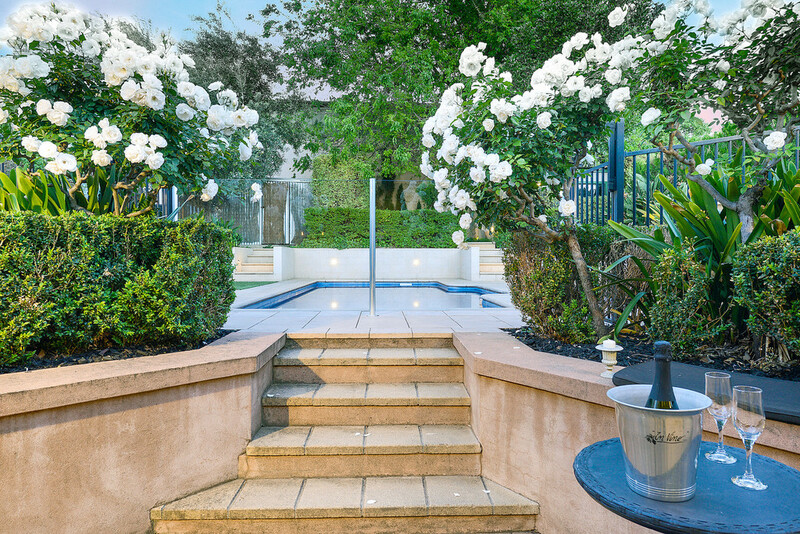 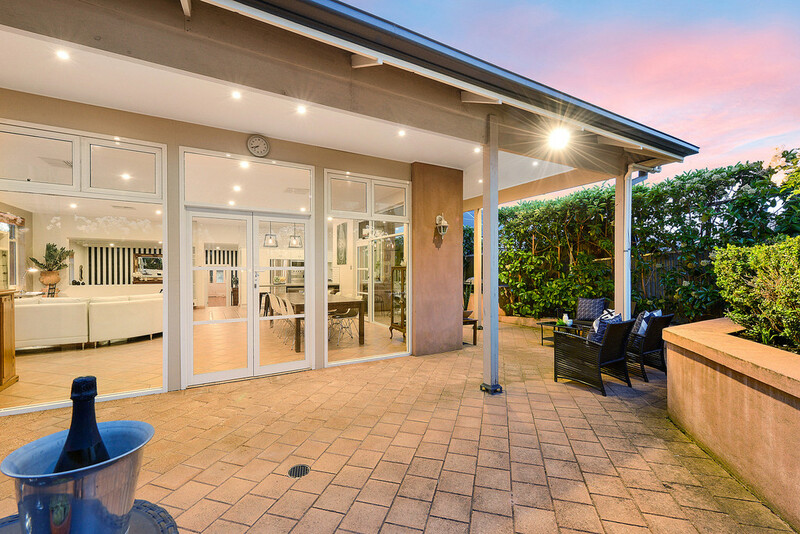 Enjoy lazy summer days around the salt chlorinated, solar heated swimming pool, set amongst landscaped terrace gardens with established plants, outdoor feature lighting and paved areas offering a soothing botanic environment for your outdoor living. 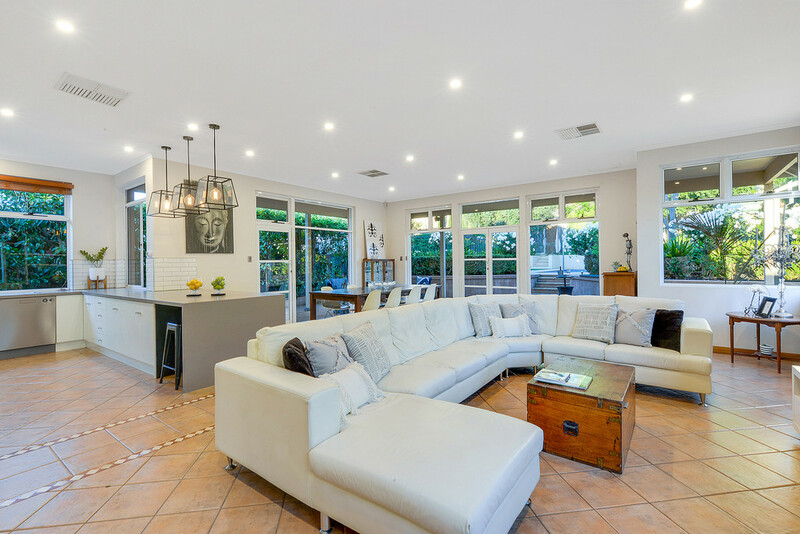 A sophisticated extension to the original 6 main rooms by renowned Prospect based architects Bohdan Dorniak & Co. maintains original ceiling heights and roof lines. 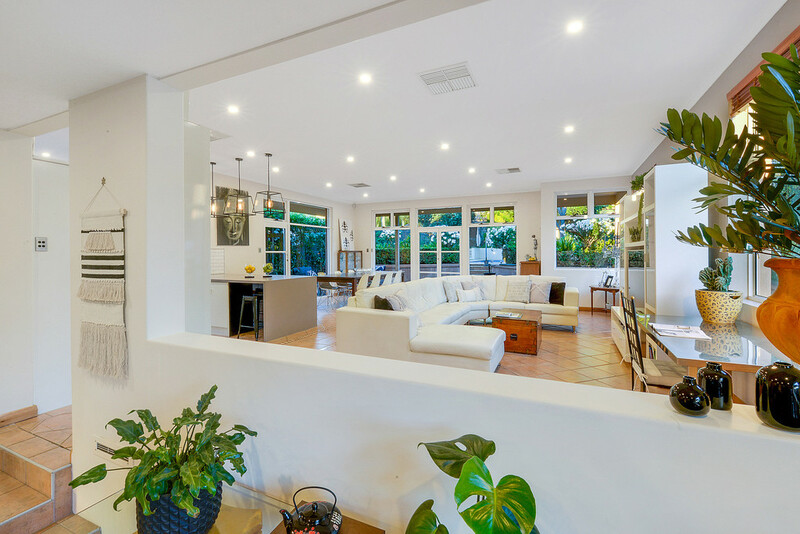 A large open plan family / dining room provides a relaxing everyday space highlighted by natural light and neutral tones. 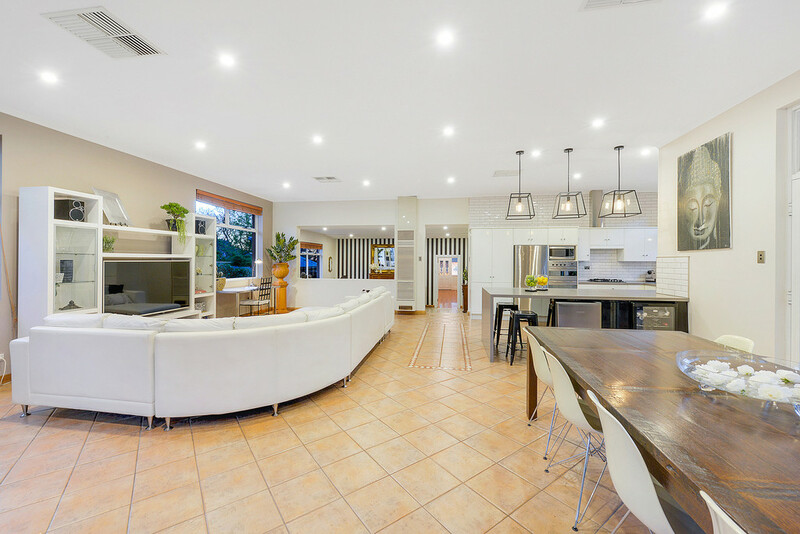 A magnificent designer kitchen overlooks outdoor entertaining areas, pool and terraces, offering a spacious cooking zone that affords the chef a full view of indoor and outdoor living. 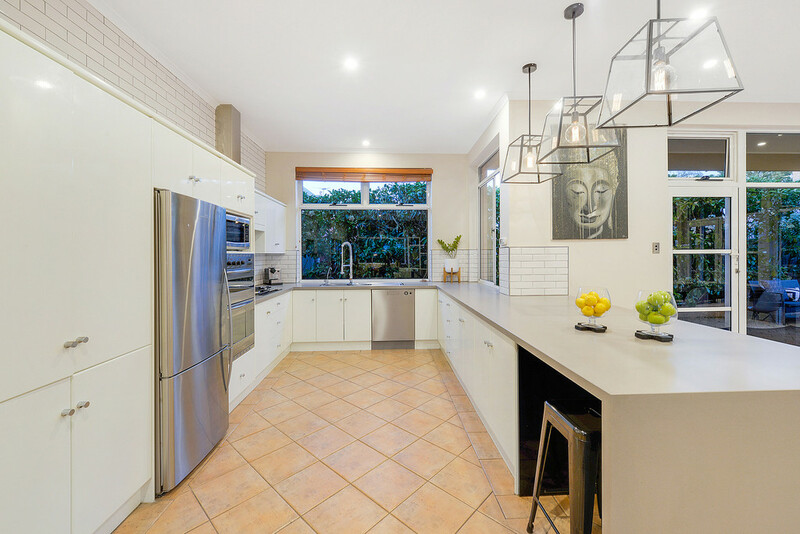 Crisp white cabinetry, Caesarstone waterfall benchtops, subway tiled splashbacks, double sink with mixer & Pura Taps, Baumatic gas cooktop, 1.5 oven, servery window, breakfast bar and stylish pendant lighting combine into a wonderful cooking space. 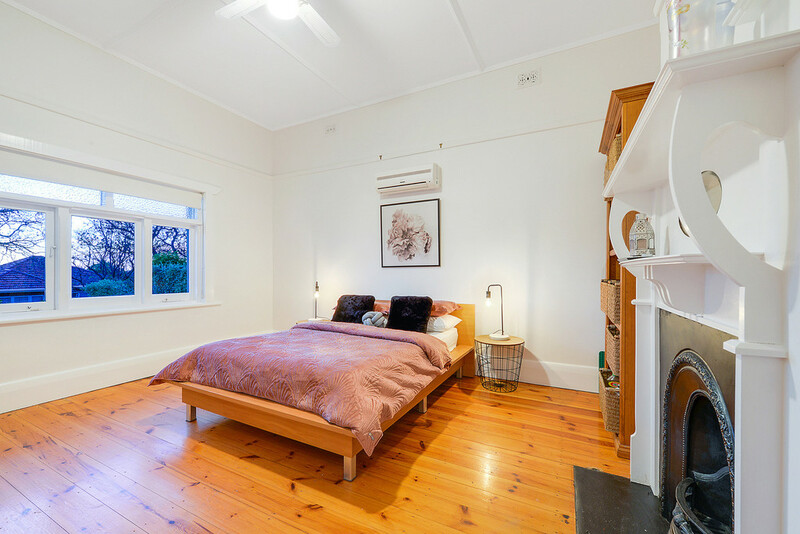 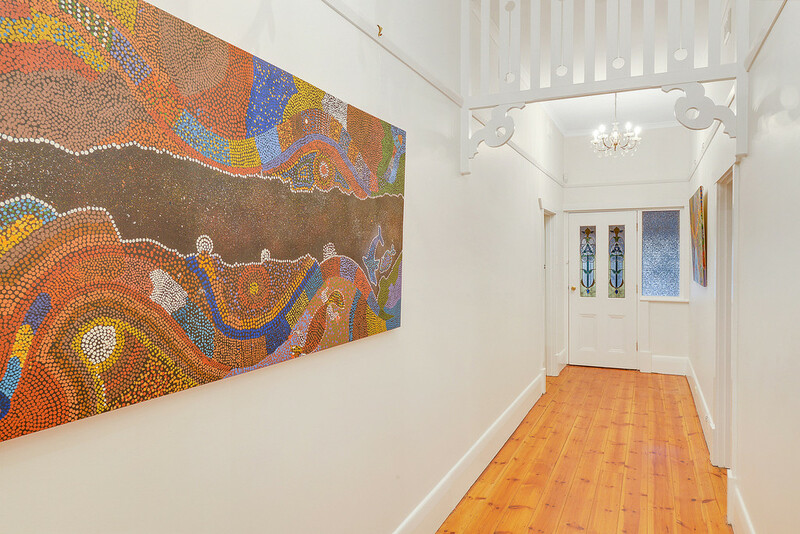 The home offers 3 bedrooms, all of double bed capacity with polished timber floors, ceiling fans and original picture rails. 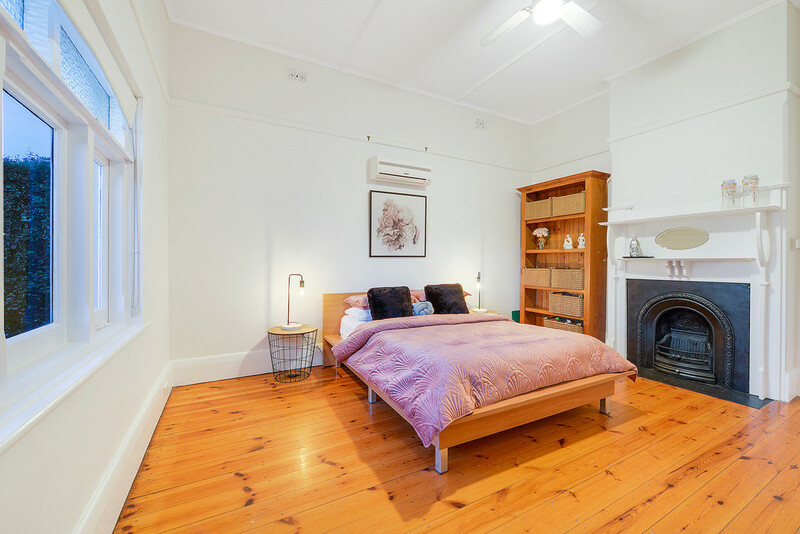 Bedrooms 2 and 3 feature original decorative and functional fireplaces. 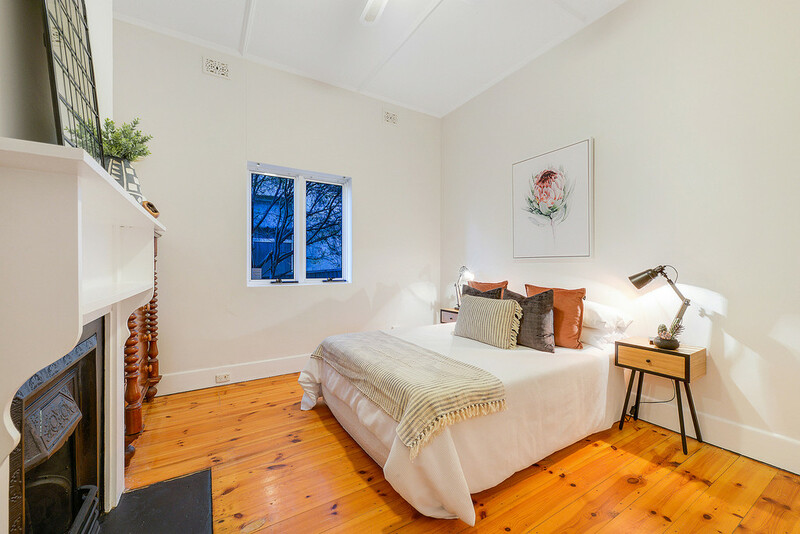 The main bedroom boasts a lavish ensuite bathroom and walk-in robe area, a spacious design providing excellent master suite facilities. 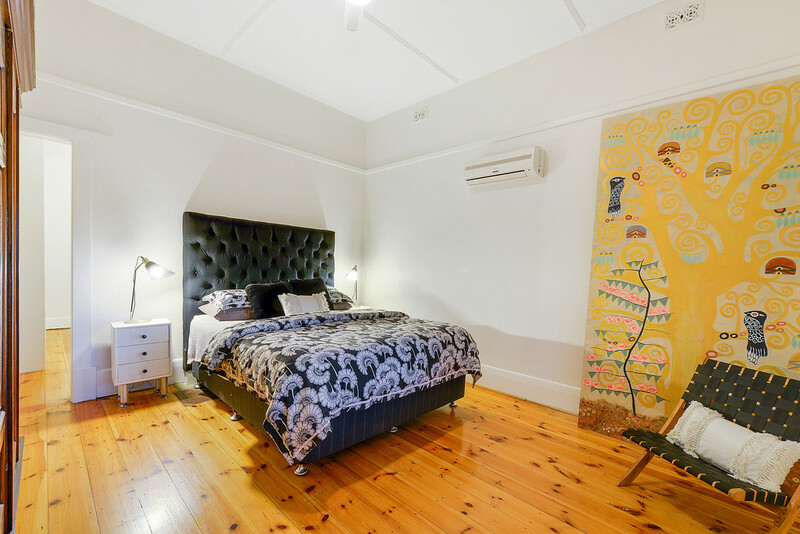 Bedrooms 1 & 2 both offer split system air conditioners. 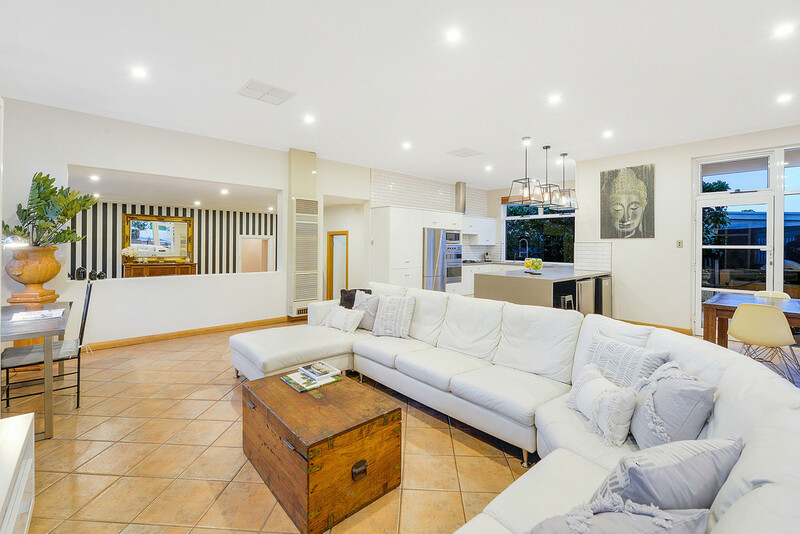 Entertain formally in a large central lounge where a staggered ceiling design, porcelain tiles and quality down lighting meld into a cultivated living space with a chic contemporary edge with ducted air conditioning and gas heating for your comfort. 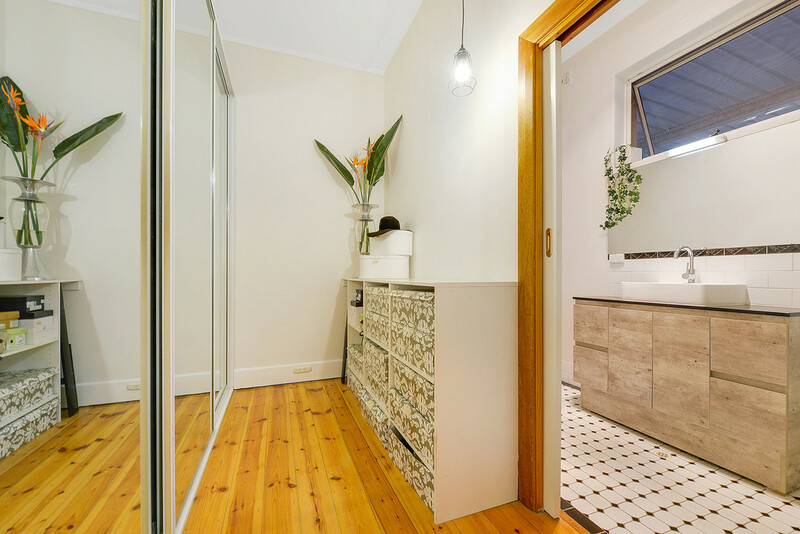 A generous main bathroom with a deep spa bath offers modern amenities with a separate laundry and powder room completing a very desirable offering. 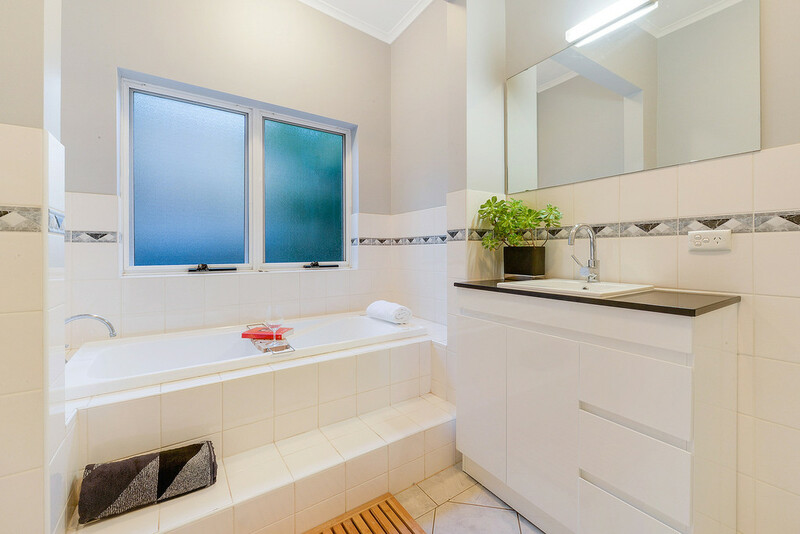 * All extensions designed by Prospect based architects Bohdan Dorniak & Co.
Local schools at your disposal include Prospect North Primary, Prospect Primary, Rosary School, Our Lady of the Sacred Heart College, St Dominic’s Priory College and Blackfriars Priory School. 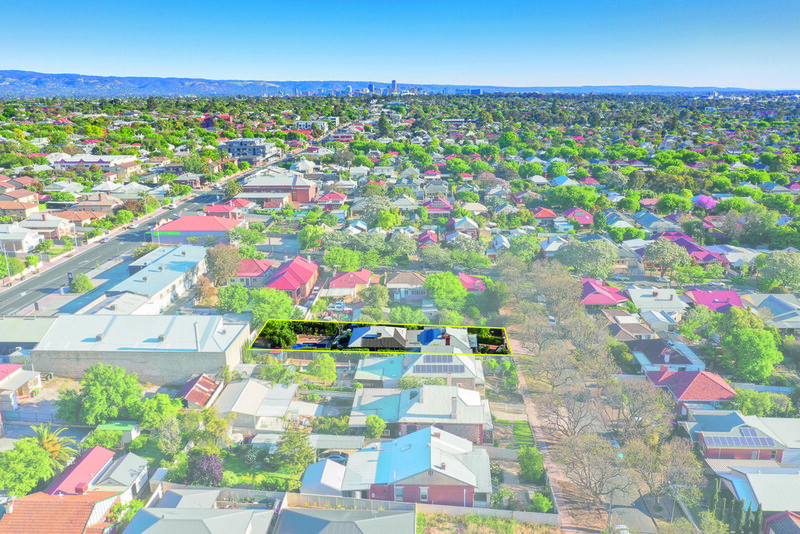 Zoned to Adelaide High School and the newly constructed Botanic High easily accessible. 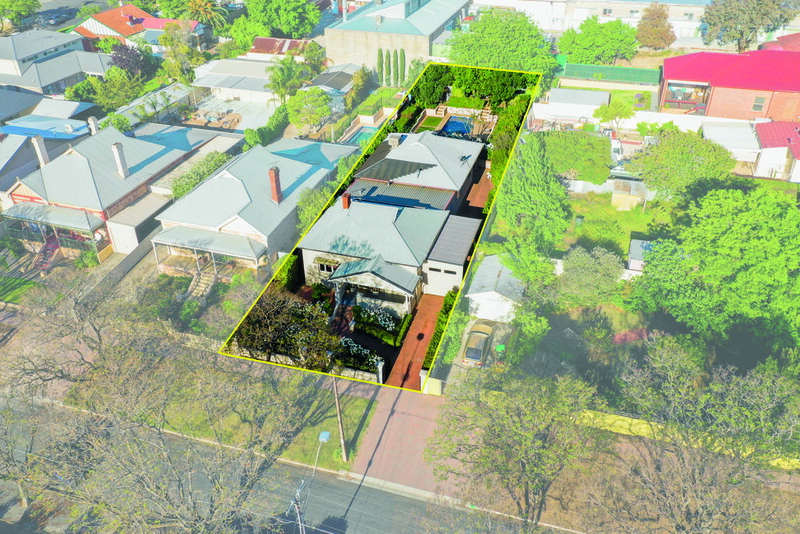 Numerous reserves and parks are available for your exercise and recreation including Prospect Estate, Cane Reserve and St Helen’s Park and the famous Miniature Railway on Regency Road. 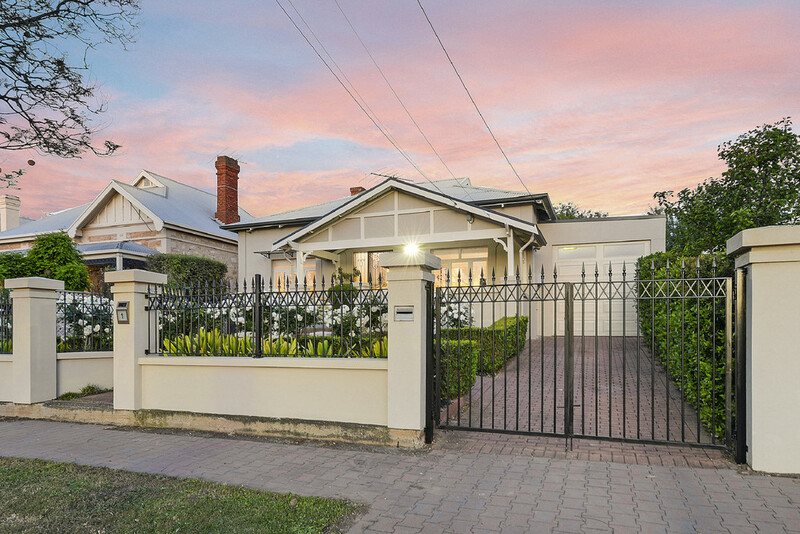 A unique opportunity to secure a magnificent solid brick home in a desirable location.